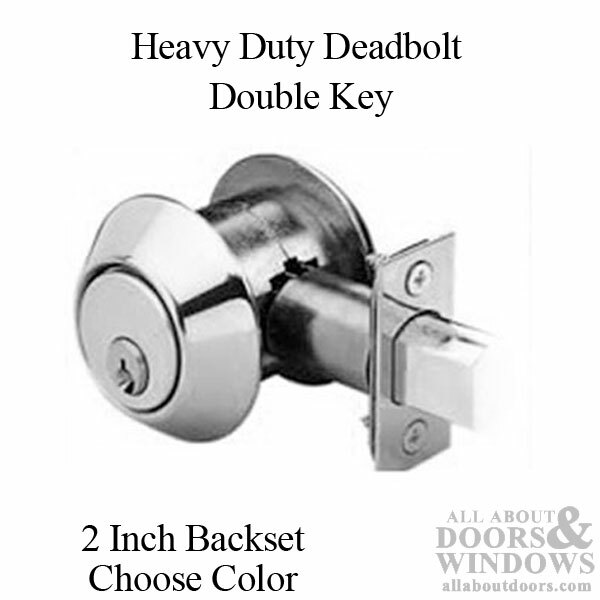 2 Inch Backset Double Cylinder Dead bolt. 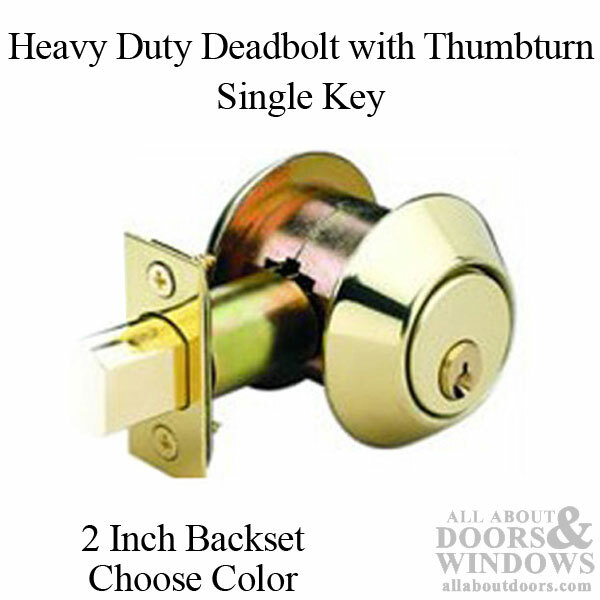 This Atrium style Door Dead Bolt is a replacement for Amerock and National Dead bolts with 2 Inch Back Set. Has Double Cylinders and is keyed on both sides. 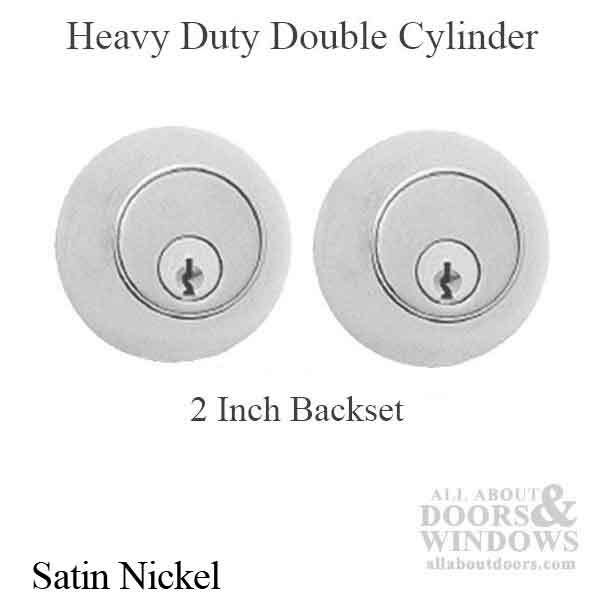 The Dead Bolt projects 1 inch outside and 1 inch inside.